WARNING: PRETTY PINK PEPPERCORNS CAN BE DANGEROUS! Pink peppercorns, appealing and innocent-looking pink berries, can have the same serious, life-threatening allergenic potential for anyone who suffers from a tree nut allergy. People who avoid eating nuts because of tree-nut allergies may also want to avoid pink peppercorns. Pink peppercorns are members of the cashew family (Anacardiaceae) that includes cashews, pistachios, mangoes, poison oak, poison ivy, and poison sumac. Thanks to the conscientious effort of Christina who writes Christina’s Cucina blog, I now have important allergenic information to share. Christina brought this critical allergen to my attention because her young daughter experienced anaphylaxis, a life-threatening episode, after eating a food containing pink peppercorn seasoning. Because the child had a serious tree-nut allergy, the family made conscious efforts to avoid all nuts. A restaurant meal containing seasoning that included pink peppercorns brought on the anaphylactic episode. Fortunately, nature played a prominent role in her recovery, causing the child to vomit and expel the toxic substance. However, the family was puzzled about the food that caused the severe reaction. After extensive research, Christina learned about the connection of this seasoning ingredient to the cashew family and confirmed that the chef at the restaurant had used pink peppercorns. Because of her concern for others with nut allergies, Christina contacted Penzeys Spices and asked that a warning be placed on the labels of any of the spice blends containing pink peppercorns. The company complied and now has warnings on containers that include “pink pepperberries.” Penzeys Spices also includes the warning in their popular spice catalog. Researchers at the Columbia University College of Physicians and Surgeons Department of Allergy and Immunology, reported on the case of the 26-year old woman mentioned above. They concluded, “This is the first reported case of a patient developing anaphylaxis after pink pepper ingestion. Patients with tree nut allergies may need to be educated regarding this potential allergen.” The researchers also noted there is potential for cross-reactivity among different members of the Anacardiaceae family. Some people are so sensitive to tree nuts and, especially peanuts, that even touching nuts or inhaling in their presence may be serious. The allergenic substance in the pink peppercorns may be urushiol, an oily substance present in some members of the Anacardiaceae family. With mangoes, urushiol is found in the skin, while it is the shell that clings tightly to the cashew nut that contains the allergen. In poison ivy, poison oak, and poison sumac, urushiol is an oleoresin present in the sap. This oil can cause allergenic reactions rather quickly. The Food Allergy Research & Education organization advises that people with a tree nut allergy be prepared with emergency medication in case of anaphylaxis. They suggest having an epinephrine auto-injector like an EpiPen, Auvi-Q or Adrenaclick on hand at all times. I’m aware that knowing this information could save your life or the life of someone you know. If you suffer from a tree nut allergy or know someone who does, I urge you to share this information and encourage others to read the ingredient labels carefully when purchasing spice blends to avoid these highly allergenic pink berries. Even if you’ve been using a product for a long time and think you’re familiar with the ingredients, read the label anyway. Manufacturers make changes in their formulations from time to time and are required to list new ingredients on their labels. Families with young children with severe nut allergies need to take special precaution to make sure their foods are free of the entire family of nuts and related foods like pink peppercorns, and sometimes even sesame and sunflower seeds, which have properties similar to tree nuts. Ask specifically about nut-containing ingredients at restaurants, friends’ and relatives’ homes, and daycare centers to prevent tragic life-threatening episodes. I know it’s a time-eater, but packing your child’s school lunches could be lifesaving. For those times when your child eats at the school cafeteria, I also think it’s important to ask about all the ingredients in prepared school lunches. Teachers and day-care workers may find invaluable help at AllergyReady.com, a website that offers a free version of their program called How to C.A.R.E. for Students with Food Allergies, an online course. 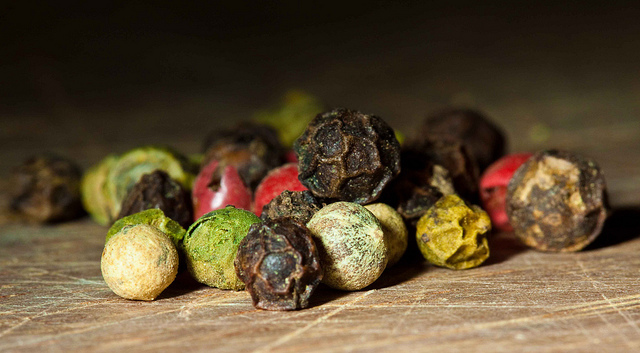 Research about pink peppercorns reveals they are not actually part of the Southeast Asian black pepper family at all, but are often included in colorful peppercorn blends that feature white, black, green, and pink whole pepper berries. Pink peppercorns offer a milder hint of spice than black pepper and have a delicate, sweet, fruity flavor due to sugar content. 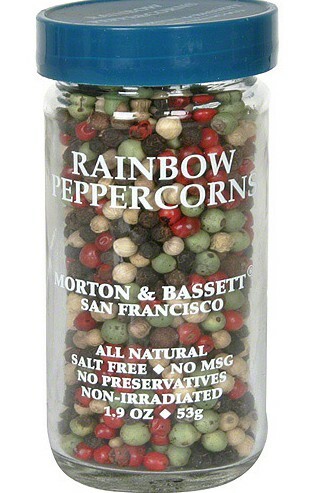 These peppercorns also add attractive color and appealing flavor to pepper blends and seasoning mixtures. Members of the Anacardiaceae (cashew) family and natives of South America, these pink berries grow in clusters on a tree known by many names: Brazilian pepper, Peruvian pepper, Peruvian mastic tree, Baies Rose, California pepper tree, American pepper tree, Florida Holly, Christmasberry, and peppercorn tree. Though there are two tree varieties that produce these berries, the berries themselves are quite similar. 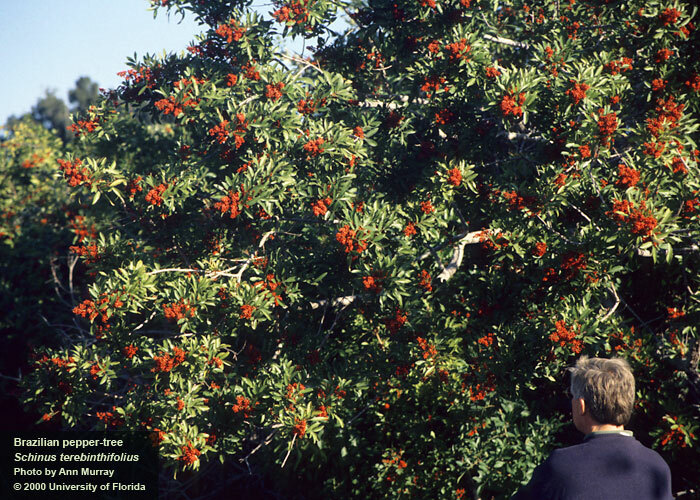 The Brazillian pepper tree, introduced into Florida in the 1800s and also known as Florida Holly and Christmasberry, is scientifically classified as Schinus terebinthifolius. The tree grows more like a tall shrub, up to 33 feet high, with broader, alternating leaves than its cousin, the Peruvian pepper tree and is considered an invasive pest. Peppercorns from this variety may owe its toxicity to its content of urushiol oil allergens and phenolic cardanol. 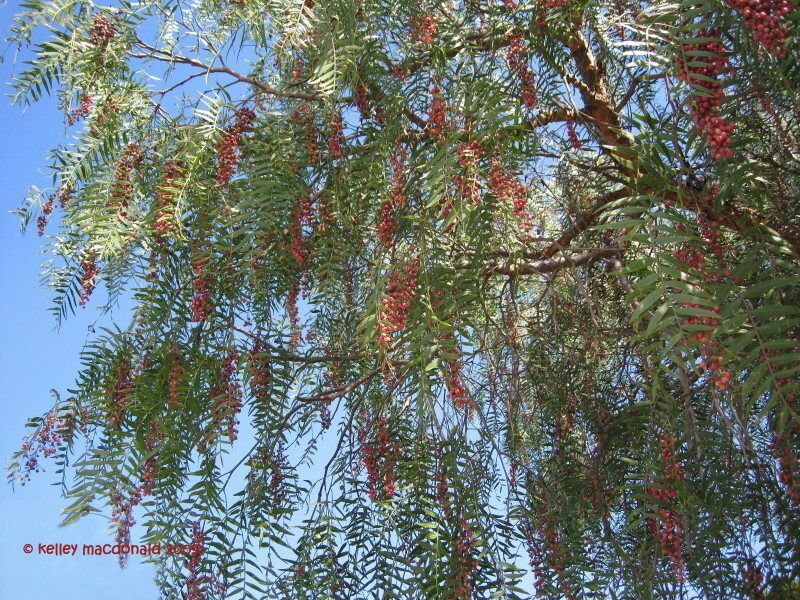 The Peruvian pepper tree, also called Peruvian mastic tree and Baies Rose, is classified scientifically as Shinus molle, and is commonly listed as the California pepper tree because it thrives so well in California’s hot climate with very little water. This variety grows quite tall, up to 40 feet, and resembles a weeping willow with elongated narrow leaves that cascade downward, giving a delicate lacy appearance. This variety is common in Southern California and other warm climates like Hawaii. 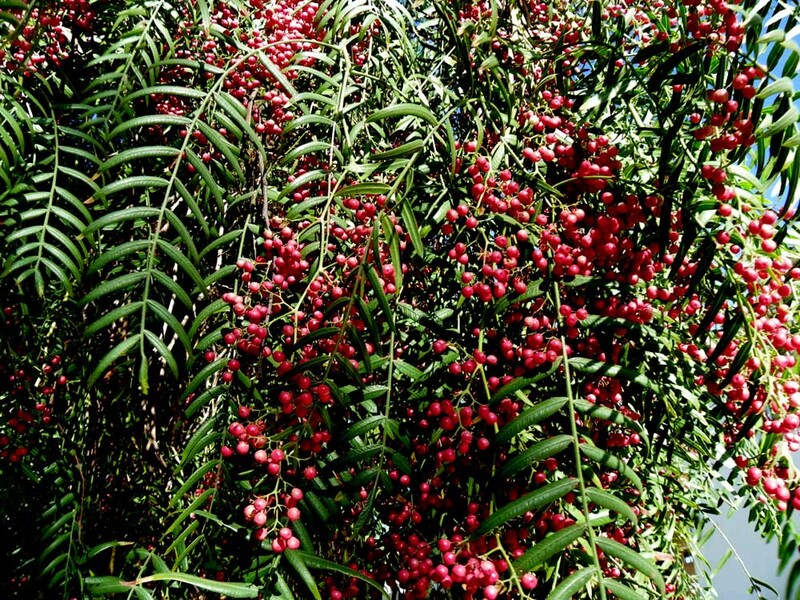 Shinus molle is the variety of pepper tree that grows on the French island of Reunion. Much of the pink peppercorns that the U.S. imported came from this island. This variety may or may not contain urushiol oils. The University of California lists Schinus terebinthifolius and Schinus molle as minor toxic garden plants that may cause illness like vomiting or diarrhea. The bright pink berries have many names also: Christmas berries, rose berries, false pepper, pink peppercorns, pink pepperberries, pink berries, and rose baises. Innovative chefs are always searching for the next food ingredient to thrill the foodies who love a new trend. But they never considered the possibility that an unassuming ingredient like pink peppercorns could be a risky flavoring choice. Several years ago, pink peppercorns became the trendy gems of innovative chefs who would crush them and add them to gourmet dishes to add a sweet, peppery taste and appealing pink color. Bold chefs used them to garnish canapés, flavor ice cream, and add zest to chocolate. A number of craft beer brewers suggest adding pink peppercorns in small quantities when brewing beer or ale to add a sweet, fruity quality, resulting in flavors similar to golden raisins, plums, or juniper berries. Sometimes brewers combine the pink peppercorns with other herbs or spices to appeal to those who appreciate unique beers. These fruity style beers are known as Saison or Lambic. Many ancient cultures actively brewed beer, but it was the Incas who recognized the flavor potential of adding pink peppercorns to their beer. Predating the Incas were the Wari tribe from southern Peru who used their native foods to brew beer–fermented corn and pink peppercorns. Writing in The New York Times Home & Garden section, on March 31, 1982, Marian Burros reported the Food and Drug Administration (F.D.A.) took action to halt imports of pink peppercorns from France because of concern they may cause serious toxic reactions. 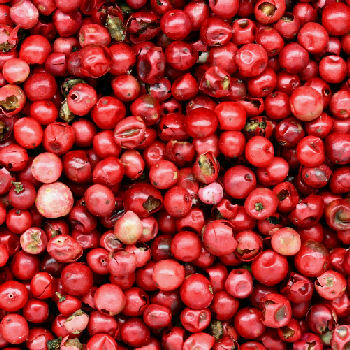 Under the food-additive amendment to the Federal Food Drug and Cosmetic Act, it became illegal to import pink peppercorns. 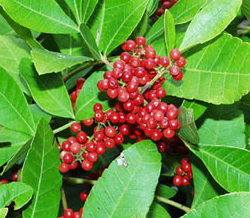 The law did not affect any supplies of pink peppercorns already in the U.S., and none were recalled because the F.D.A. declared it lacked financial means to issue a recall and did not consider them life-threatening. The article mentions the French government’s claim that pink peppercorns grown on their soil under different conditions do not cause any of the troublesome reactions. The F.D.A. said they would maintain the ban until they were given proof by the French government that the imported peppercorns would not cause harm. “No one is able to tell us the exact ingredient that is causing the problem,” said F.D.A.s’ John Taylor III, Director of the Office of Regulatory Affairs. Taylor recognized the berries from the trees grown in the U.S. and those grown on the Ile de Reunion, a French island near Madagascar, were the same species but may have different volatile oils that made the French berries problem-free. The New York Times article said the F.D.A. proposed the French government send an affirmation that stated the pink peppercorns were “generally recognized as safe.” Until then, the ban would remain in place. Wikipedia mentions the ban was lifted but does not provide a date or any statement from the F.D.A. Because it may be difficult to determine which variety of the pink berries are contained in seasoning mixtures, or whether variety matters, I would advise anyone with a nut allergy to avoid pink peppercorns completely. “Tree Nut Allergies.” FARE: Food Allergy Research & Education. “When to Use Your EpiPen Auto-Injector.” EpiPen. https://www.epipen.com/en/about-epipen/when-to-use-epipen? I’m delighted to add this guest post by a person who knows nuts like few of us do. Jerry Henkin is a nut grower from New York. As a member of the Northern Nut Growers Association (NNGA) he takes an active role as their librarian and works to build and maintain the organization’s holdings. Jerry is also Vice-President of the New York Nut Grower’s Association (NYNGA). As growers of nut trees, we seek to produce the best nuts we can grow for consumption by people. There is also an interest among farmers who raise livestock, especially sustainable agriculture and permaculture practitioners, in using nuts as forage for animals. 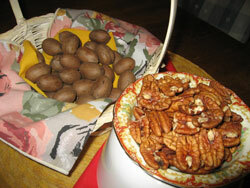 All of us should know about the healthful qualities of nuts for our own well being. We should eagerly share this information with others when promoting nuts. Since the inception of the Northern Nut Growers Association in 1910, only 1% of the articles in the Annual Report and The Nutshell magazine have dealt with the nutritional aspect of nuts. Though I am not a professional nutritionist, I have learned a great deal from studying scientific reports on nutrition that deal with nuts from NNGA literature and from the following organizations: The Food and Research Program, Agriculture and Agri-Food Canada; Loma Linda University; the Human Nutrition Research Center on Aging at Tufts University; the University of Scranton; Children’s Hospital, Oakland Research Institute; Penn State University; the University of Missouri; and the Linus Pauling Institute at Oregon State University. I wish to thank Dr. Barry Kendler, a Professor of Nutrition at the University of Bridgeport, in Connecticut, who has helped me organize my presentation on nut nutrition. I want to tell you what I learned about the health benefits of nuts and then describe a simple technique to increase the nutritional value of nuts by soaking and drying them. Raw nut kernels (without salt, and not roasted in fatty oils, or “honey roasted”) are excellent sources of fiber, proteins, and the`” good fats” (monounsaturated and polyunsaturated fats). They contain an abundance of antioxidants, vitamins, and minerals. Since each kind of nut has a different percentage of these healthful ingredients, it’s a good idea to eat a variety of nuts: pistachios, different species of walnuts, macadamia nuts, almonds, pecans, hickory nuts, pine nuts, hazelnuts, and chestnuts. Acorns are edible, as well; those of you who attended last year’s meeting in Utah heard Howard Manning speak about the tradition of the Native Americans in California leaching acorns to remove the tannic acid. They then pound the nuts into a meal. 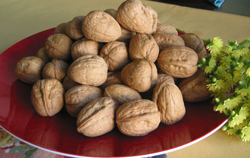 Nuts are concentrated energy foods. Mountain climbers, Arctic explorers, and average hikers carry a portable sack of nuts and dried fruits along with water. Captain Reid Stowe took in-shell hickory nuts on his record-breaking 1,000 day sea voyage. (I should know because I supplied them to him along with mung beans for sprouting.) While nuts are high in calories, just eating a handful – about 2 ounces, or roughly 1/4 cup – 5 days out of the week is sufficient to bring you the health benefits that nuts can offer. Nuts do need to be chewed thoroughly for their healthful properties to be used by the body. They should not be eaten after a heavy meal because that could lead to weight gain. Nor should a bowlful of kernels be left on the coffee table in front of the TV during the football season. Eating nuts is not a guarantee of good health: some of the other factors that come into play are our genetic inheritance; the amount of exercise we do; our lifestyle choices and stress level; and the negative factors like smoking and being overweight. But the scientific studies cited at the end of this article indicate the health benefits that can accrue from a regular diet of nuts: They strengthen the immune system, lower cholesterol, and protect the body from viral invasion and tumor growth. They can lower the risk of colon, breast, and prostate cancers. Moreover, eating nuts on a regular basis has been shown to reduce the risk of Type II diabetes. They can lower stress levels. Nuts also reduce the risk of high blood pressure which can lead to cardiovascular diseases. 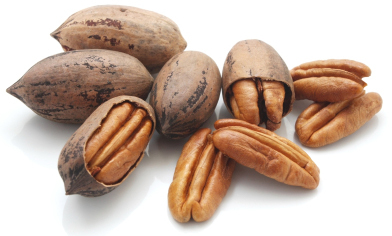 Walnuts and pecans, especially, which are high in antioxidants, reduce the damage caused by free radicals. 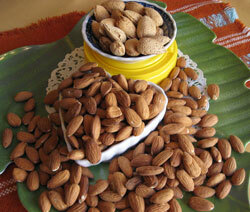 Almonds and peanuts should be eaten with their skins because they, too, contain high levels of antioxidants. Nuts may even play a role in maintaining healthy sexual function in men. Chestnuts, unlike other nuts, are a significant source of Vitamin C. They are also rich in vitamin B6, Thiamin, Riboflavin, Folate, and Niacin. Chestnuts have the highest percentage of carbohydrates which has given them the nickname, “the runner’s nut” because they increase the body’s ability to cope with stress. An article in the NNGA Annual Report in 1987, by G.P. Abide, describes how to make chestnut chips as a commercial product. 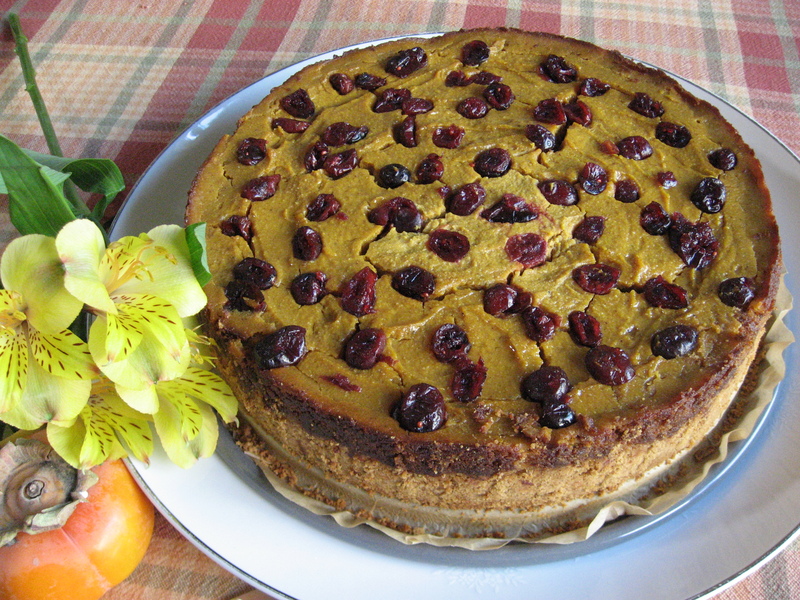 Chestnut flour is another value-added product. Mr. Abide advises nut growers to “be in line with current consumer trends favoring healthful foods.” How much more true that advice is now than 25 years ago. We need to advise our customers and friends who eat nuts to store them in the refrigerator, and not leave them out on the kitchen table with a cracker and a pick, as inviting as that might sound. Nuts in the shell maintain their flavor longest. Most nuts can be stored in the freezer for years. 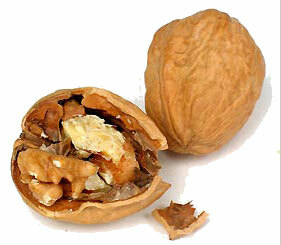 Some words of caution about eating nuts: There may be insect larvae within the shell. Also, nut kernels may turn rancid after a period of time if improperly stored. The oils within the kernel will spoil, causing the kernels to look yellowish and waxy. So look at the nuts you’ve just cracked out of the shell for insect infestation; feel them and smell them for signs of rancidity. If you’re cracking out nuts instead of buying the nuts already shelled, make sure to eliminate all shell materials – black walnut fragments can crack a tooth; tiny shell pieces can lodge in between teeth. 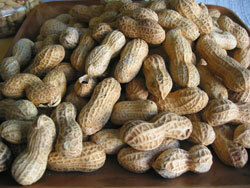 A very small percentage of the population of the United States is allergic to tree nuts and/or peanuts. Some people can die if they consume even minute quantities which might have been added as an ingredient to other food products. In 1964 George Borgstrom wrote an article in the Annual Report calling for nut breeders to develop cultivars that would eliminate the allergens that cause such severe reactions in some people. To my knowledge, no one has taken up this challenge. Please let the NNGA know if this breeding work has been done. Now for the delicious part: nuts enhance the flavor and texture in bland foods like chicken, cabbage, salad, green beans, vegetable soup, waffles, pancakes, and muffins. 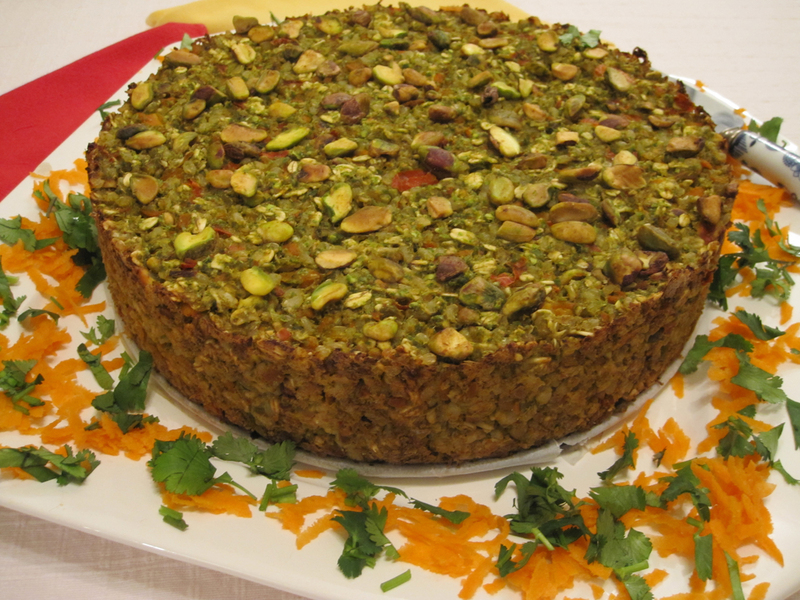 While vegetarian restaurants have long served simple dishes using nuts, elegant restaurants have recently been offering pistachio crusted salmon, hazelnut stroganoff, and chocolate-chestnut trifle. 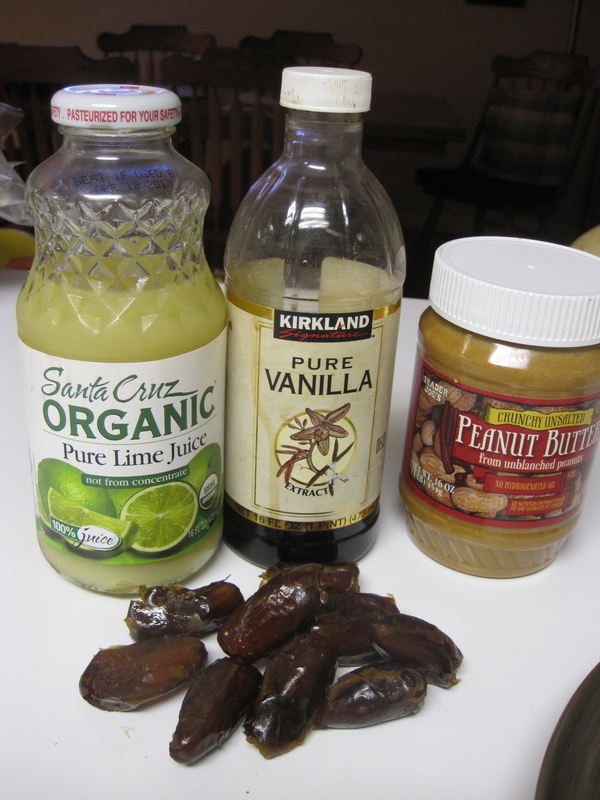 Nuts can be added to milkshakes and made into nut milks and nut butters. 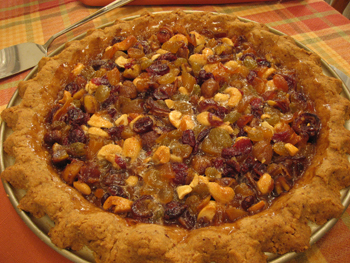 The Native Americans of Virginia pounded hickory nuts into a paste, soaked them in water, and then used the “cream” as a delicacy. They also fermented this mixture to make a liquor. Marion Nestle, a noted nutrition activist, has continued Kellogg’s vision of a world where people eat healthy food. She said that one in seven people on the Earth in 2012 is hungry. She feels that the global food crisis will continue in the U.S. and abroad in cost, volatility, and availability. In her books, Nestle links malnutrition and hunger with social problems. One approach, she believes is to encourage food co-ops as an alternative to “Big Food” because they are community-based and value-based. Therefore, they must sell clean, healthy, nutritious food. Here is all the more reason, I believe, to plant and care for nut trees now, so that we will have a supply of one kind of healthy food in the future. J. Russell Smith was one of the most outspoken proponents of this idea, which he advocated in his book Tree Crops, A Permanent Agriculture. I’m now going to describe a simple method to increase the nutritional value of nuts which everyone can do as long as they have access to clean water. Barbara Mendez, a licensed pharmacist and nutritional consultant, and Zel Allen, the author of several books on healthy eating, have both written articles on the health benefits of soaking nuts. The process calls for soaking raw nut kernels in water for several hours. The kernels should be the freshest you can find. The soaking period varies from 7 to 12 hours, depending upon the density of the kernel, but cashews should be soaked for no more than 6 hours. 3. 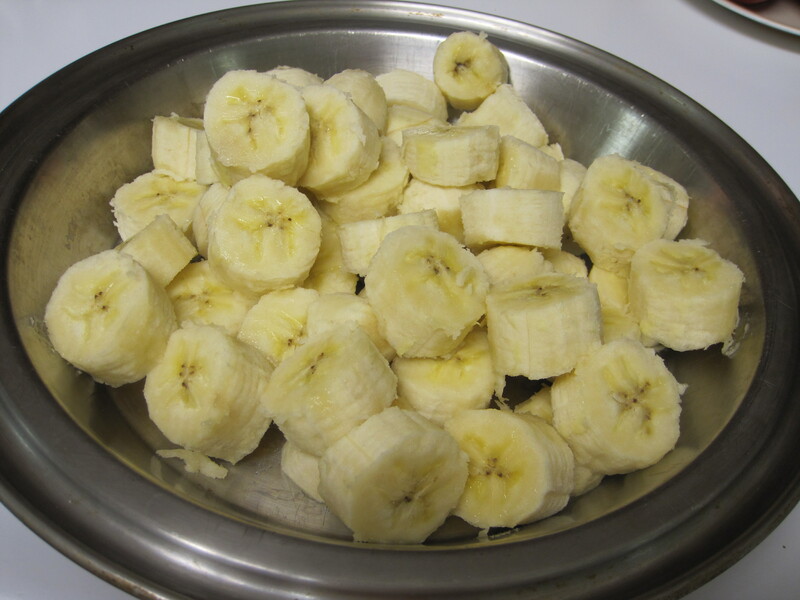 Use a food dehydrator set at 118° F. for about 7 hours. During this period, the kernels increase their antioxidant and phytochemical capacity because soaking releases some enzyme inhibitors. This makes the nuts easier to digest. Tannins are removed from walnuts, making them taste sweeter. Soaking nut kernels also allows the body to absorb and use this food, instead of passing kernel pieces rapidly through the body. In effect, you are maximizing the nutritional value of your food when you follow this process. Note that this method reconstitutes nuts whose moisture levels have been previously reduced. They are therefore best eaten within two days. 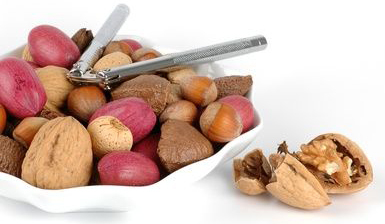 After you’ve done this for a while, you’ll know the best soaking and drying times for nuts. Since each batch of nuts is different, don’t be afraid to experiment with the soaking and drying times to produce the healthiest and most delicious nuts you can. WOW! JUST DISCOVERED . 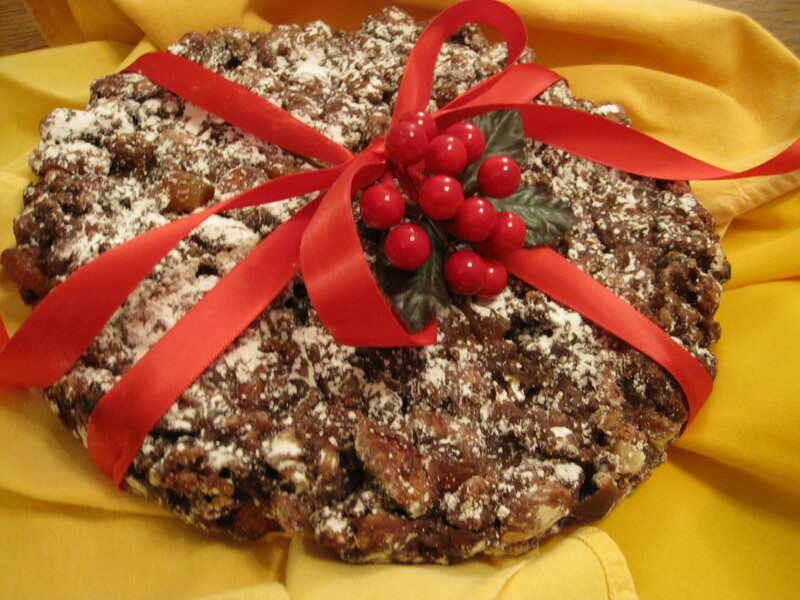 . .
Until now I have only shared my own original recipes and nut-focused how-tos, along with a host of nut-filled posts from health-oriented nut studies to occasional forays into a touch of silliness. 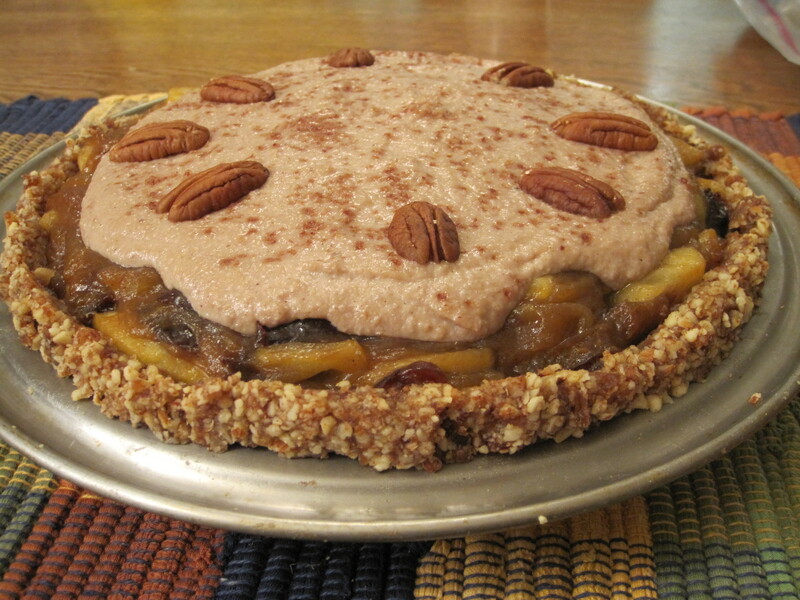 My resolution for this New Year is to travel beyond the boundaries of nuts and share, explore, and discover websites that post magnificent vegan recipes and food creations deserving of praise and recognition. 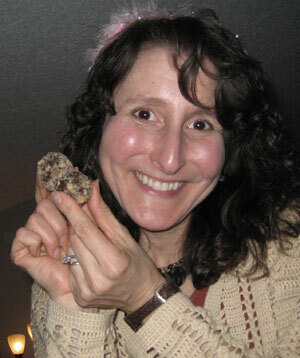 I won’t abandon my beloved nuts—I do love them so! 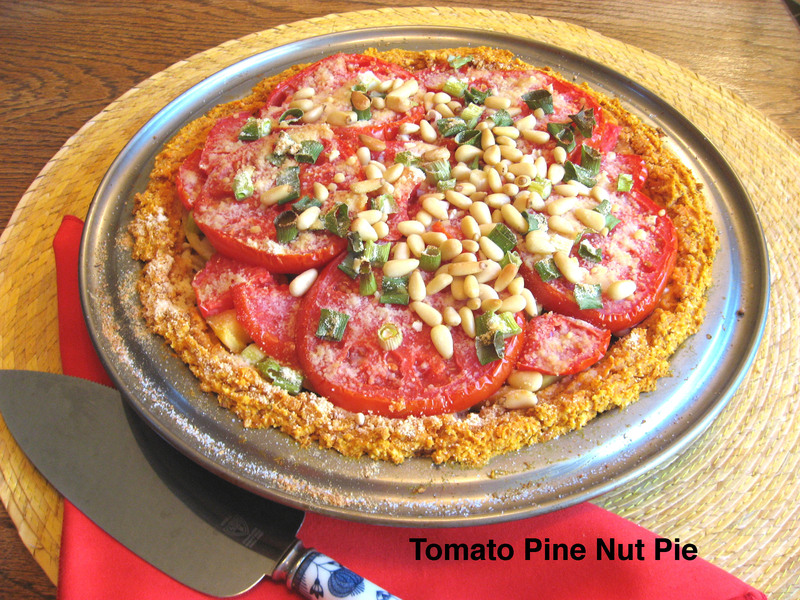 And I’ll also share recipes and tidbits from my new cookbook that will be coming out in a few months. 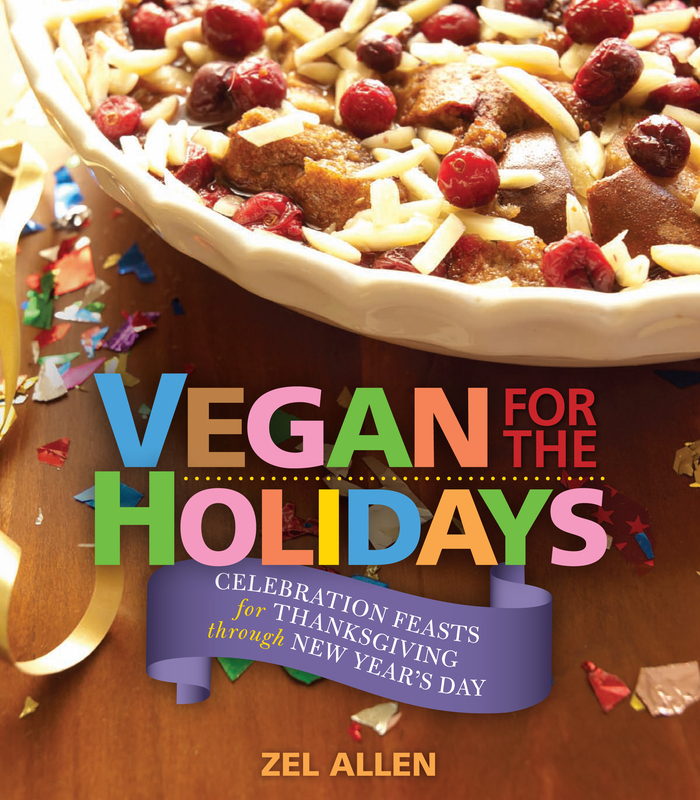 The new book, with the working title Gone Vegan for the Holidays, is a bounty of delicious recipes that will make holidays at the vegan table very very special. Book Publishing Company is the publisher. 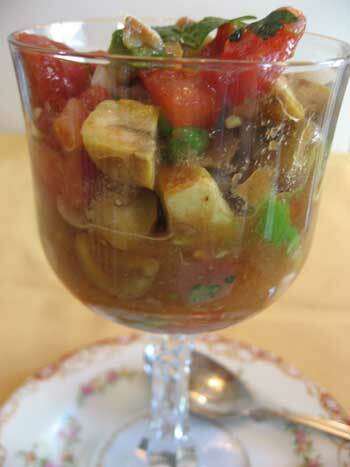 One exceptional, must-see webhttp://veganmenu.blogspot.com What the Hell Does a Vegan Eat Anyway? Drop by for a browse and you’ll quickly find yourself salivating over some of the most innovative and tantalizing vegan dishes you could ever desire. These creative home chefs have taken vegan cuisine to an artful level and given their readers a ton of visual feasts with enticing food styling. They employ an awesome variety of Mother Nature’s treasures with passion and have mastered the art of stretching the mind with their creations. Enjoy the charming photographic displays at this website. It’s like treating yourself to a fun day of window shopping. Within a few hours after I posted my family’s experience with allergic rashes from consuming mangoes and cashews, I received the comment below. It’s so well explained in scientific terms I thought it important to share in a post rather than a comment. The information comes from Sandra J. Baker, author of The Poison Oak & Poison Ivy Survival Guide. Thank you so much Sandra. 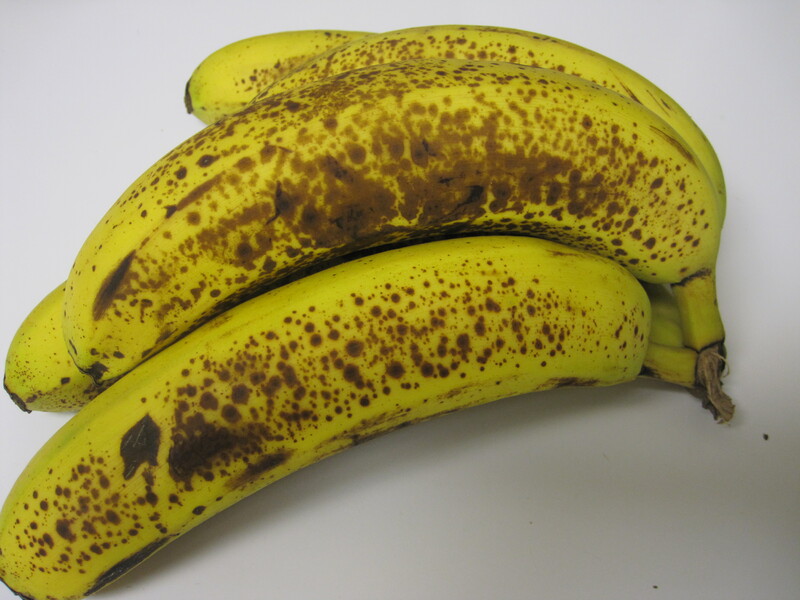 Your information explains the science behind my husband’s and two sons’ itchy rashes after eating mangoes and cashews. Hopefully, this post and the previous one will benefit others who suffer the misery of itchy skin rashes and haven’t discovered the cause. I can add to your quest for information. Mango, cashew and poison oak, ivy and sumac are all in the family Anacardiaceae. Then poison oak, ivy and sumac join the genus Toxicodendron which contains the allergenic oil urushiol in its resin. But, mango and cashew also have allergenic oils. Mango has resorcinol, and cashew has anacardiol and cardol. All of these allergenic oils have enough similarity that if you are allergic to one, you are probably allergic to the others. Mangos’ allergenic oil is mostly in the resin canals in the skin (always peel first before eating), and is thought to be somewhat weaker than poison oak/ivys’ oil. Some people are extremely allergic to it, but a mango grower said his workers usually don’t get much of a rash at the beginning of working with the plants. After a while, the sensitivity usually goes away. The oil can migrate from the skin into the flesh, so it is a good idea to stay away from all mango products, even juice if you know you are allergic. All cashews imported into the US (even those labeled raw) are shelled and cooked a bit beforehand, because that will destroy the allergenic potential of the cashew nut shell oil that is between the honeycombed layers of the shell. (the oil of the cashew itself is harmless). (Poison oak/ivy and sumac oil is highly resistant to heat by the way. 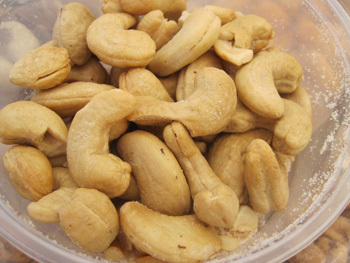 Very seldom, cashews are accidentally imported without being cooked, and may have been contaminated from the shell cracking procedure, Rashes have been documented. This is a much smaller problem than that of mango rashes. CHESTNUTS ARE BACK AND SO AM I!!!!! The chestnut harvest is in and ready for cookin’! I’ve just placed my order and will probably be cooking and peeling a heap of the beauties when they arrive in about a week. This year I ordered from Girolami Farms and Correia Farms but an abundance of the sweet nuts can also be found at Allen Creek Farms, Croft Chestnuts, Washington Chestnut Company, Chestnut Growers, Inc., and Delamarvelous Chestnuts. Don’t wait too long to order. Many of the farms sell out by mid November, though some will have chestnuts through January. Honestly, I’m not getting a commission for touting the chestnut growers. I’m just very passionate about chestnuts and hope to see more people cooking and enjoying their naturally sweet flavor and delightful soft and creamy texture. The neat thing is if you’re not inclined to cooking and peeling chestnuts, you can buy them already cooked and peeled. It doesn’t get better than that! 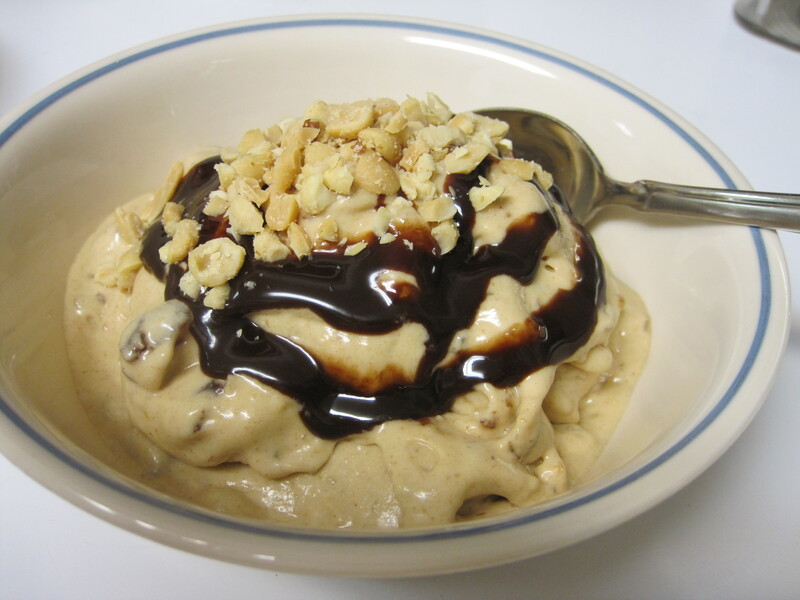 Today, I’m welcoming myself back to fun and utterly delicious nutty blogging. I’ve been absent for good reason. I just turned in the manuscript for my new cookbook. Yea!!!! And Whew!!!!! While the new book will still have a banquet of nut recipes, it places the focus on killer-delicious vegan recipes for the holidays—from Thanksgiving through the New Year. 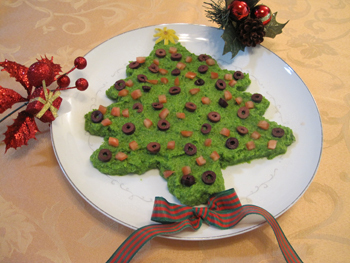 During the year and especially during this coming holiday season, I’ll be sharing some of the nuttier delicacies from Gone Vegan for the Holidays, starting today. A year ago I was puttering in the kitchen with my freshly cooked chestnuts and came up with a seductively delicious meal starter I call Tijuana Chestnut Cocktail. No, this cocktail is not a beverage like its name suggests. Instead, it was my effort to create a vegan version of shrimp cocktail—only much tastier with the addition of chestnuts that contribute more complex flavor. It looks really elegant and is amazingly easy to assemble. The photo says it all. 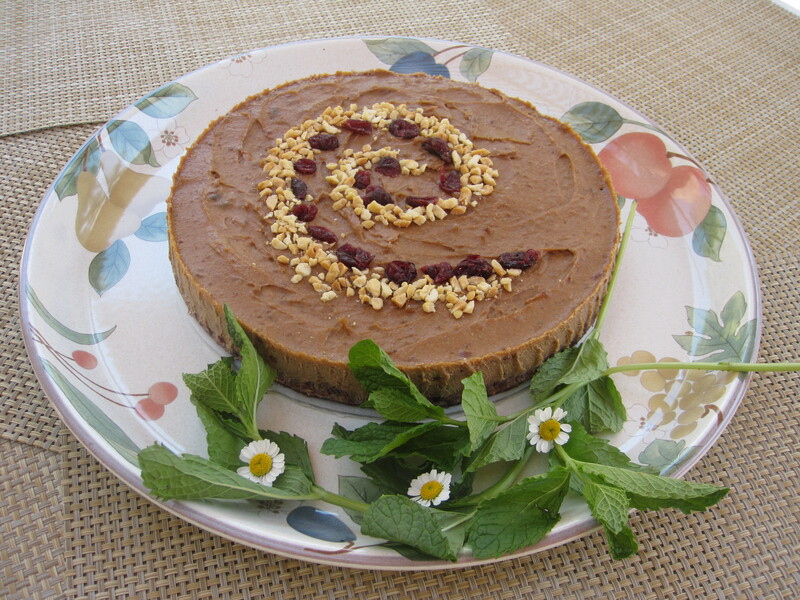 Initially, I created this recipe to spotlight chestnuts, then replaced them with tofu for its ease of preparation. Either way, it’s a delicious starter. For an exceptional presentation, serve the cocktail in long-stemmed wine glasses or champagne flutes. Put each glass on a dish with a doily underneath and garnish with a slice of fresh lime on the rim. Make the cocktail a day ahead, chill it, and it’s ready to serve. 1. Combine the diced tomatoes, chopped tomatoes, tofu, avocado, onions, cilantro, lemon juice, jalapeno, cumin, coriander, and salt in a large mixing bowl and stir well to distribute evenly. Serve immediately, or chill and serve later. 2. When ready to serve, spoon the cocktail into long-stemmed wine glasses, old-fashion glasses, or glass dessert bowls and garnish each with a sprig of cilantro and a wedge of fresh lime. Serve with spoons. WHO’S GOT THE BEST BALLS? Chef AJ held her 4th Ball-Off Contest on the evening of May 1, 2010, engaging her cooking class students in a wild and raucous competition to see who would win the two top prizes for having the best balls (confections). It was the destiny of six fortunate and discriminating judges to taste 19 amazing entries and arrive at a consensus to choose only the top two winners who would wear the royal crown until the next Ball-Off. The challenge the students were given involved creating a confection approximately 1-inch in diameter that included only natural, healthful ingredients. The only restrictions were the balls could not contain any animal products, refined, processed ingredients, oils, or refined sugar. I was among the lucky six on the judging panel, whose task it was to award the two top prizes. Judging was based on three factors: creativity, taste, and appearance. It probably sounds like a snap, but can you imagine cramming in 19 confections in approximately one hour and retaining one’s sanity? Assessing that many balls for extraordinary qualities is a challenge for anyone, even the judges who each have discerning palates and years of experience in the food arena. While some were easy rejections because they lacked desirable taste, others were shunned because they were so mushy it was nearly impossible to pick them up. However, the six-judge panel formed a team of stouthearted souls who persevered until the last morsel was consumed. In addition to the contestants and judges, there were several others who came to cheer on the winners or console the friends or spouses who put forth a grand effort. It was a lively bunch contributing to the scene with plenty of shout outs and no shortage of humor. Finally, the judges decision gave the 1st place award to the very deserving Michelle Wolf, a creative and conscientious home chef who submitted her Chocolate Hazelnut Gianduia Truffles, a truly inspired creation with a surprise in the middle. Brenda Cohen took second prize for her Almond Overjoy Balls whose almond-rich chocolate confections made the judges ecstatic. At the age of sixteen, I had the unique opportunity to take a student trip to Europe. 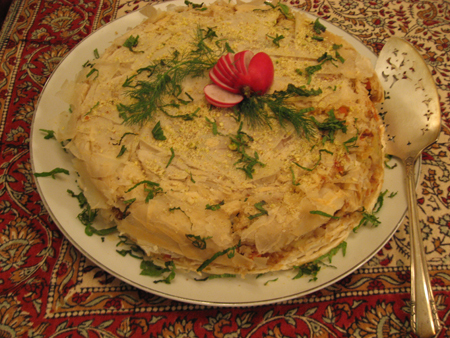 While the museums and architecture were feasts for the eyes, the cuisine was a feast for the taste buds. During our stay in Rome, my friends and I discovered a new love, named gelato, and proceeded to dine on this rich Italian ice cream six times per day! One of my favorite flavors was Gianduia (pronounced: zhahn-DOO-yuh) which was a blend of chocolate and hazelnut. The memory of this delicious flavor was my inspiration for the “Chocolate Hazelnut Gianduia Truffles” that I created for Chef AJ’s Ball-off competition. Two great tastes, that taste great together! 18 (or more for added sweetness) Deglet Noor pitted dates soaked overnight in unsweetened chocolate almond milk. 2. Place remaining 1 cup of hazelnuts into the food processor and process until ground into coarse powder. 3. Add cacao powder and the soaked dates (without excess soaking liquid). To enhance the subtle flavor blend, you can try adding 1/2 to 1 teaspoon of vanilla extract and 1/4 teaspoon of almond extract. Process until the mixture becomes a thick paste. 5. Roll each ball in bowl of ground hazelnuts until outside is even coated. 6. Place into container and store in freezer until ready to serve. 1. In a food processor fitted with the “S” blade, process the almonds until they are almost nut butter consistency. Add cacao powder and process again until fully incorporated. 2. Add dates and process again until mixture almost comes together. Add coconut and process again until thoroughly combined. 3. 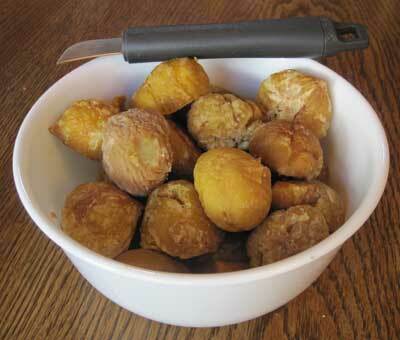 Add raisins and extracts until the mixture will stick together and form a ball if rolled (clumped) in your hand. 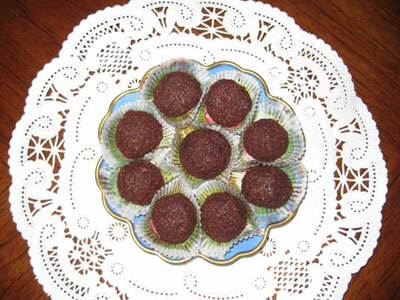 Roll into balls, and then roll in cacao and coconut mixture. Enjoy!